News/Press :: Wellfleet Partners Inc.
At the LD Micro Conference 2015 in LA with our Chairman Aaron Dobrinsky, CEO of Signal Systems and Advisor to Wellfleet. We want to acknowledge the passing of an old Friend, Carlos Falchi. His company was the First Private Placement that Axel Mehrle & I closed in my career, April 1986 at Emanuel & Co.-Mark I. Lev, esq, Chairman & CEO of Wellfleet Partners, Inc. 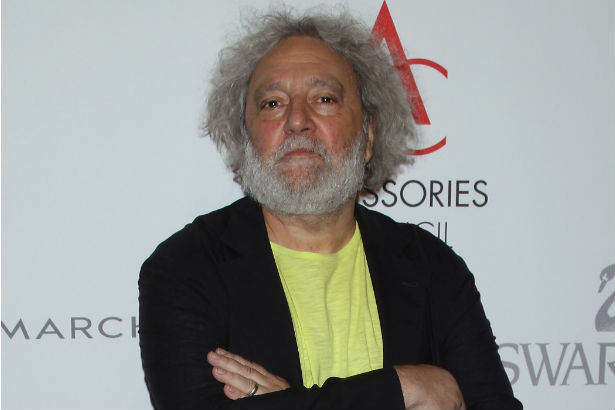 Legendary handbag designer Carlos Falchi passed away on Friday at the age of 70. During his career, starting in the late 60s and stretching over several decades, the Brazilian-born bag maker’s unique patchwork method garnered attention from some of the industry’s most influential tastemakers, launching him from obscurity to the creator of some of the most coveted bags in fashion. His work has been seen on the arms of such iconic clientele as Jackie O, Tina Turner, Blake Lively, Mary J. Blige and Rihanna. Falchi’s bags have been sold at retailers like Henri Bendel and Saks Fifth Avenue, and his work has won him accolades from the Independent Handbag Designer Awards (2007), the Accessories Council of America (2004) and more. The designer has had his share of ups and downs in his career. After enjoying overwhelming popularity in the 80s, Falchi expanded his business too quickly and began to lose money, causing him to shut down his company in the 90s in order to get back on his feet. His label was purchased in 2009 by Windsong Brands LLC and Marvin Traub Associates, who resurrected his line as Falchi Holdings LLC, taking the designer on to once again serve at the helm of his own label. Falchi will always remain one of the most iconic handbag and accessory makers of his generation and will be forever remembered and sorely missed. NAPERVILLE, Ill., Jan. 5, 2015 /PRNewswire/ — General Employment Enterprises, Inc. (NYSE MKT: JOB) (“the Company” or “General Employment”) a provider of specialty staffing services provided an update and additional information regarding its outlook for the remainder of its fiscal year ending 2015 and the acquisition of Scribe Solutions, Inc. (“Scribe”). Scribe provides General Employment access to the growing healthcare staffing market. The healthcare solutions provider serves the needs of emergency departments (ED) of hospitals, urgent care centers and physician practices and specialty medical clinics. By way of background, emergency departments are fast paced environments in which ED physicians take multi-tasking to the extreme, and they often find themselves performing data entry and clerical duties. As the emergency room physician takes more and more time to document in the electronic medical record (EMR) he or she spends less time caring for patients. In fact, ED physicians now spend 45 minutes of every hour documenting or performing clerical duties. This results in decreased productivity, decreased patient satisfaction, decreased relative value units (RVUs), decreased turnaround times (TAT) and poor patient care. Scribe offers emergency department medical scribes to allow the ER physician to spend less time on clerical duties and more time caring for patients. Scribe’s clinical information managers (scribes) provide specific emergency department services to aid doctors in documentation and minimize their clerical duties. Not only does Scribe offer physician assistant (medical scribe) services to emergency departments, but also to busy specialty physician groups and medical clinics. Physicians in these specialty practices and clinics benefit from scribe services by spending less time on charting and more time on providing quality patient care. In addition, Scribe provides an online and live didactic series designed to develop quality scribes. Scribe’s personnel have an excellent knowledge base and can adapt to any documentation system. The scribes also perform other services such as tracking labs, transcribing radiology reports and helping physicians organize data. With an enhanced set of service offerings, an improved management team and fortified balance sheet, the Company is well positioned to grow both organically and through strategic acquisitions. The staffing industry has more than $100 billion in annual sales and is expected to grow at a rate greater than 10% per year. This outlook is only expected to improve with anticipated additional governmental regulation, such as the new health care requirements and as companies increase their use of staffing companies to augment their human resource requirements. General Employment is focused on select attractive market verticals. Targeted for growth by the Company are the professional services staffing segments in information technology, engineering, legal, accounting and healthcare. The Scribe acquisition accelerates our entry into the growing healthcare staffing space. Furthermore, there is a severe shortage of IT workers in the U.S., and the maturing engineering workforce means new engineers will be aggressively sought. In the field of light industrial staffing, the Company is focused on manufacturing, construction and logistics. Manufacturing staffing is a core vertical for General Employment and the U.S. is benefiting from the sustained “Made in America” renaissance. An additional opportunity exists in the logistics vertical driven by just-in-time production and the need for flexible work forces as well as warehouse expansion due to ecommerce growth; this will lead to further growth in the light industrial division. Acquisitions will play an important role in General Employment’s growth strategy. The Company is well positioned to leverage its cost structure and grow by acquiring other staffing companies. General Employment will seek to acquire companies that (i) are cash flow positive and are accretive to the Company’s net income, (ii) provide additional services to sell through our current infrastructure, (iii) strategically align with our culture, and (iv) provide or align with core technology, infrastructure and management. Additionally, the Company will seek to expand its geographic footprint. About General Employment Enterprises, Inc.
General Employment Enterprises, Inc. (the “Company”) was incorporated in the State of Illinois in 1962 and is the successor to employment offices doing business since 1893. The Company provides staffing services through a network of offices located in the United States. The Company operates in two industry segments, providing professional staffing services and solutions and light industrial staffing services through the names of General Employment, Ashley Ellis, Triad and Omni-One. Scribe Solutions was formed in 2008 to meet the demands that physicians face with overcrowded waiting rooms, and to overcome the challenges presented by electronic medical records (EMR), and the rising cost of quality patient care. By providing physicians with personal assistants (medical scribes), Scribe offers turnkey programs where it recruits, qualifies, hires, and trains resources to serve as scribes at sites across the United States, and alleviates the burden of documentation and clerical duties. Scribe Solutions has developed a low cost staffing solution that improves productivity by providing scribe programs to emergency departments, physician practices, and outpatient and inpatient facilities. The statements made in this press release that are not historical facts are forward-looking statements. Such forward-looking statements often contain or are prefaced by words such as “will” and “expect”. As a result of a number of factors, the Company’s actual results could differ materially from those set forth in the forward-looking statements. Certain factors that might cause the Company’s actual results to differ materially from those in the forward-looking statements include, without limitation, those factors set forth under the heading “Forward-Looking Statements” in the Company’s annual report on Form 10-K for the fiscal year ended September 30, 2013, and in the Company’s other filings with the Securities and Exchange Commission. The Company is under no obligation to (and expressly disclaims any such obligation to) and does not intend to update or alter its forward-looking statements whether as a result of new information, future events or otherwise. SOURCE General Employment Enterprises, Inc.
“General Employment”) a provider of specialty staffing services today announced that it has signed a definitive agreement with Scribe Solutions, Inc. (“Scribe”), whereby General Employment will issue Series A Convertible Preferred Stock of the Company in exchange for one hundred percent of Scribe Solutions’ common stock. Under terms of the agreement, the exchange ratio is based on Scribe having a value between $6.4 and $7.9 million as determined by an independent appraisal firm. The transaction has been unanimously approved by the boards of directors of each Company and a majority of their respective shareholders. Upon completion of this transaction, Scribe Solutions, Inc. will become a wholly owned subsidiary of General Employment Enterprises, Inc. The stock exchange agreement is subject to certain regulatory and other approvals. Closing of the acquisition is expected to occur during the first quarter of 2015. After consummation of the transaction, Andrew Norstrud, current Chief Executive Officer of the Company, will continue as Chief Financial Officer of General Employment. Derek Dewan, current Chairman and Chief Executive Officer of Scribe Solutions, Inc. will become Chairman and CEO of General Employment. Mr. Dewan was previously Chairman and CEO of MPS Group, Inc. In January 1994, Mr. Dewan joined AccuStaff Incorporated, MPS Group’s predecessor, as President and Chief Executive Officer, and took that company public in August 1994. Under Mr. Dewan’s leadership the company became a Fortune 1000 world-class, global multi-billion dollar staffing services provider, through significant organic growth and strategic acquisitions. MPS Group grew to include a vast network of offices in the United States, Canada, the United Kingdom, Continental Europe, Asia and Australia. MPS Group experienced many years of continued success during Mr. Dewan’s tenure and he led successful secondary stock offerings of $110 million and $370 million. The company was on the Wall Street Journal’s “top performing stock list” for three consecutive years. In 2009, Mr. Dewan was instrumental in the sale of MPS Group to the largest staffing company in the world, Adecco Group, for $1.3 billion. Andrew Norstrud commented, “The acquisition of Scribe brings to General Employment sustained profitability, one of the best CEOs in the industry and entry into the growing healthcare staffing market. With the addition of Derek’s expertise, we will accelerate our efforts to build out the Company’s service offerings in the professional and other staffing segments. In particular, I am excited about the Company’s entry into the higher margin and fast growing healthcare staffing market. Additionally, I am looking forward to working with Derek; his extensive experience in the staffing industry will be key in propelling our organic growth and leading a strategic acquisition strategy. We welcome the entire Scribe team to the General Employment family.” Derek Dewan added, “I am thrilled to become a part of General Employment, a pioneer in the staffing industry. Having been in operation since 1893, the Company has a reputation for outstanding customer service and I look forward to continuing that legacy.” Dewan continued, “Andrew and the hardworking employees have achieved much success in building a great staffing company which will serve as the foundation and platform for General Employment to execute its strategy. The Company is well positioned to increase its breadth and depth of service offerings, fuel internal growth, and acquire the best operating companies in the staffing industry. I look forward to assisting General Employment in achieving its strategic goals and increasing shareholder value.” Mary Claire Menze founded Scribe Solutions in 2008, and she will assume her previous role as President of Scribe, following the completion of the acquisition.